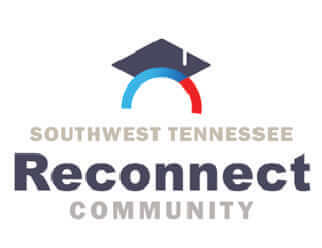 Southwest Tennessee Reconnect helps adults return to college to complete a degree they started but never finished, and supports them through degree completion. Southwest Tennessee Reconnect is a part of Tennessee Reconnect, the State of Tennessee’s college completion initiative for adults. Southwest Tennessee Reconnect is seeking a full-time Advisor. Advisors serve as guides to our clients by helping them understand their options and by creating and following a plan to re-enroll and complete college. Advisors work closely with specialists at our partner colleges to help clients succeed. Advisors use technology, as well as in person meetings, to achieve their goals. Advisors must have a proven record of commitment to promoting student success as a means to improve the economic and civic well-being of individuals and communities. Advisors must also have a high level of energy and a positive attitude toward work and others. Lead advisor directly reports to the Director and supports the organization in executing its strategic and tactical plans. Minimum two years advising experience. Client management experience is a plus. Self-motivated starter with a positive attitude, able to work independently while functioning well as part of a team. Proven performance based on results and metrics, and close adherence to schedules and commitments. Experiential or professional understanding of academic and non-academic issues surrounding adult learners and specifically adult college students. Some understanding of college admissions, academic advising, transcript analysis, and financial aid as they pertain to adult students is a plus. Ability to provide developmental advising to adult students and encourage outcomes-directed solutions is a plus. Ability to work with individuals with various values, lifestyles, socioeconomic and ethnic backgrounds. Facility using Microsoft Office and web platforms. Knowledge of the Southwest Tennessee region, community-based organizations, and organizations in the region related to educational attainment and student success preferred. Local travel required. Work hours will include some evenings and occasional weekends. Interviewing will start immediately. This position is paid through an 18-month grant period. Please email resumes to vbunch@jacksontn.com. NO phone inquiries please.